Bring grace and elegance to your living room environment with this traditional leather loveseat. With room enough for one person to sprawl out or two people to snuggle closely, this sofa is the meaning of comfort. Stuffed with thick, box-faced seat and back cushions wrapped in a sleek leather upholstery, this item is the ultimate in quality and style. Framed by rolled arms and wooden arrow feet, this loveseat is gracefully curved for a soft and seductive appeal. Fit snugly in a tight area of the room or positioned next to your living room sofa, this item will complete the look and feel of your lounge area. 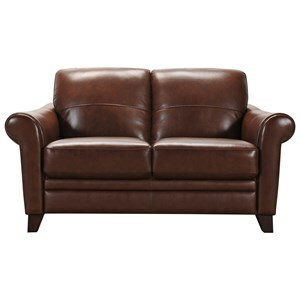 The A297 Traditional Leather Loveseat with Wood Feet by Natuzzi Editions at Becker Furniture World in the Twin Cities, Minneapolis, St. Paul, Minnesota area. Product availability may vary. Contact us for the most current availability on this product. Luxurious, classic and sophisticated. Create a traditional living room that makes you feel at home. With quality Italian leather, this collection is inviting with classic timeless features. 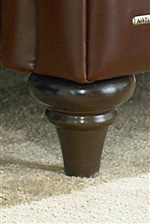 You will find padded rolled arms, boxed cushions and exposed wood turned legs. Choose between many seating options to create the perfect space for your home. The A297 collection is a great option if you are looking for Traditional furniture in the Twin Cities, Minneapolis, St. Paul, Minnesota area. 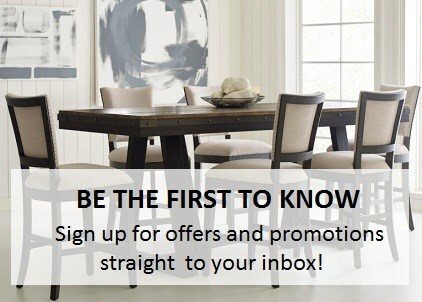 Browse other items in the A297 collection from Becker Furniture World in the Twin Cities, Minneapolis, St. Paul, Minnesota area.